Acknowledgement (each individual must work sincerely to achieve unified company goals in the service of patient care). If you have opened a newspaper recently, you know that health insurance costs are rising. That is one of the reasons you should compare your health insurance rates today. Get fast, free health insurance quotes from insurance companies with an interest in your personal or company business! Nutrition: The nutrition program helps patients access the services of a registered dietician. An evaluation of the patient’s diet is the first step to improving total nutrition quality. Hypertension: The hypertension program assists patients in managing high blood pressure through education and lifestyle changes. Chronic obstructive pulmonary disease (COPD): The chronic obstructive pulmonary disease (COPD) program helps patients with bronchitis, emphysema, and asthma to manage both lifestyle and disease management issues. COPD may be associated with smoking. Of course, smoking cessation (another AHNI program) helps patients in this regard. Asthma: The asthma program supports patients by offering education and therapeutic support. As the number of products and medicines offered to assist asthmatic patients increases, coaches and therapists help patients learn how to live better with asthma. Diabetes: The diabetes program provides education and lifestyle assessment for patients diagnosed with diabetes. According to the American Diabetes Association, diabetes affects more than 18 million people in the United States. Diabetes continues to increase in an aging population. Smoking cessation: The smoking cessation helps patients stop smoking. Smoking is associated with 440,000 deaths a year in the United States, according to the Centers for Disease Control. Cholesterol management: Hyperlipidemia, or high cholesterol, affects millions of Americans. High cholesterol—especially “bad” LDL cholesterol—is a risk factor in heart disease and high blood pressure. Physicians at the American Health Network support clients in their desire to take better control of their healthcare. The programs offered by AHNI help clients lower the number of doctor visits (other than well care); lessen the number of emergency room or hospitalizations; and improve the health quality of life. The company employs about 1,170 people in all locations. Patients have access to these physicians and others as part of membership in the American Health Network. 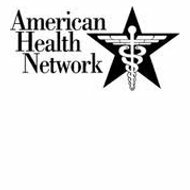 American Health Network, Inc. helps employers to offer high quality health and medical services to employees. The network combines physicians, therapists, dieticians, coaches, physical therapists, and educators to offer superior health services. According to the company website, American Health Network, Inc. is connected to 58 out of 119 providers of diabetes care in their marketplace (recognized by NCQA) and 26 of 34 providers of cardiac health care in their marketplace. According to information provided by the Centers for Medicare & Medicaid (CMS), patients under the treatment of AHNI physicians charged approximately $1,700 less per year than the average patient in the CMS system. If you are an individual without health insurance, or a company looking to lower the costs of offering health insurance benefits to employees, comparing health insurance rates with health insurance quotes can help you save money. Take advantage of our free cost comparison tool by entering your zip code now!